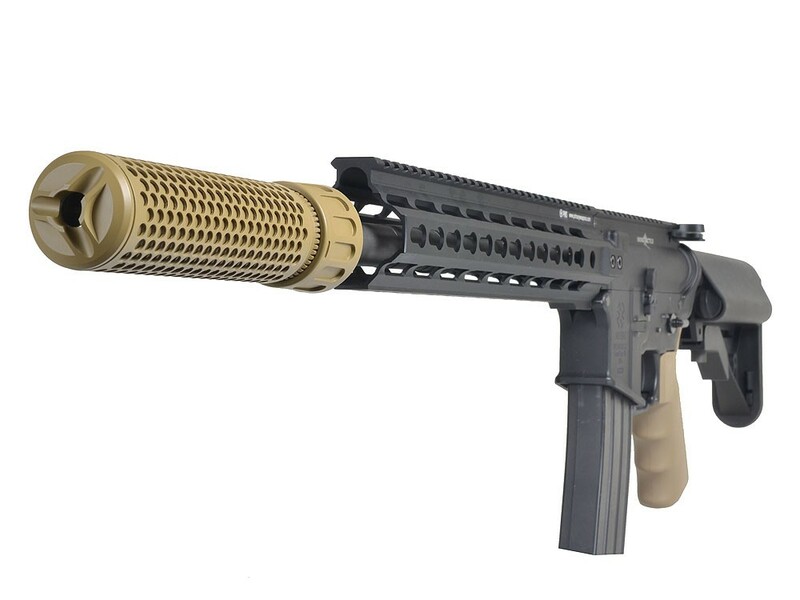 The QDC Airsoft Dummy suppressor is unique because of its quick detach mechanism that is true to the real steel version’s form, factor, and functions. The thread of the flash hider has been modified to ONLY fit the airsoft version. 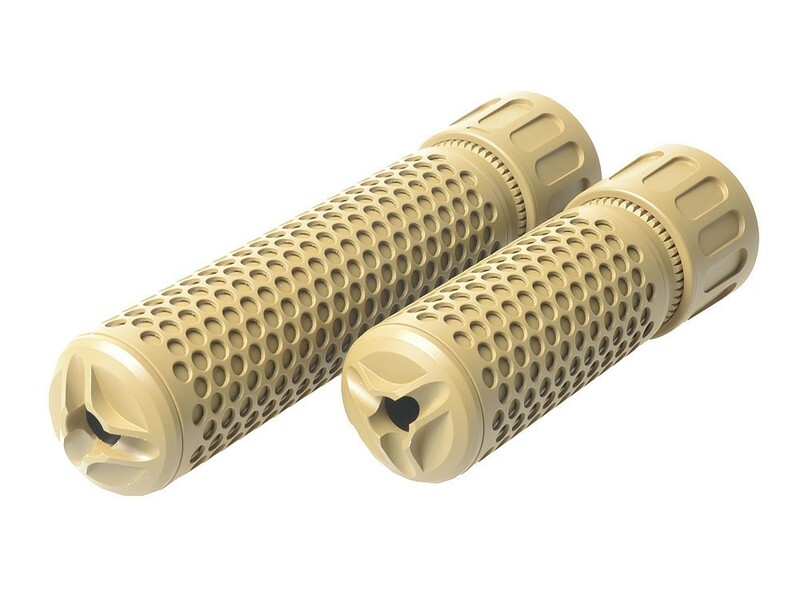 This condensed suppressor is great for enhancing your airsoft rifle’s realism and short CQB profile. 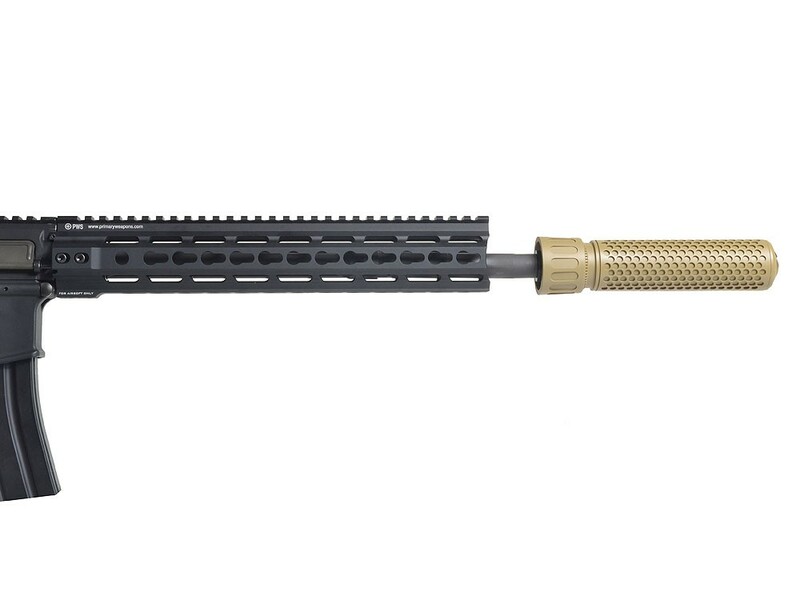 The QDC CQB suppressor is unique because of its quick detach mechanism that is true to the real steel version’s form factor and function. Note: The short silencer at right hand side.